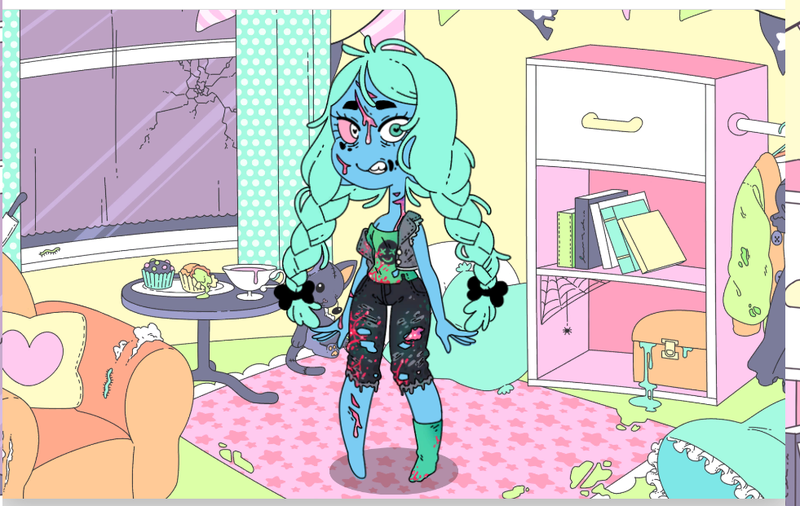 I watch videos in the comments and feel so pity that I don't have oppotunity to create my own, adorable ghoul girl because I click the egg continously but there is nothing happens. What wrong with it or I do something wrong? This is really funny clicker game, Freegames66 should add it to the list of clicker games on it. 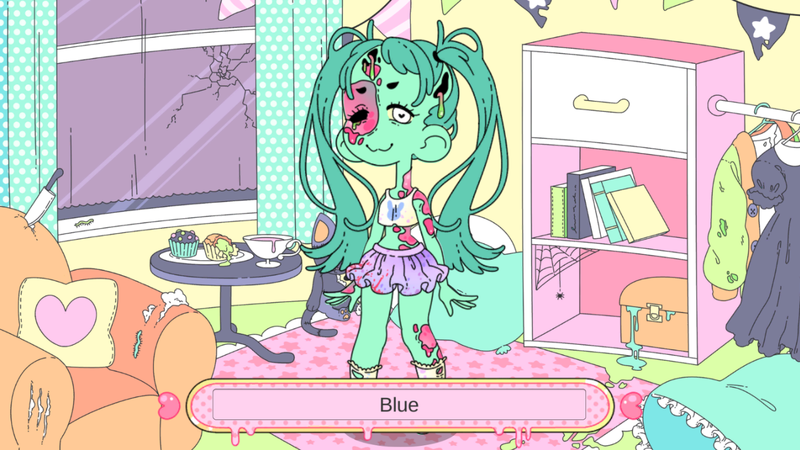 Have you ever wanted to experience what it is like to have your very own ghoul girl? Well, you've come to the right place! geekremix played ur game!! they rlly liked it!! Cute... but there really isnt anything to do. Will check back later when you have added things. Same issue here, it's such a shame too, looks like a lovely game. HELP. When i downloaded it it only showed a white screen with a black box in the corner with the name and an enlarge icon. HELP. When i downloaded it it only showed a white screen with a black box in the corner with the name and an enlarge icon. having the same problems as many, the game loads as a white screen with a smaller blue screen but nothing else and is unusable. I gave it a play! It was super cute. I can't seem to get it to start up right, it just kinda puts a blue box in one corner with the fullscreen button that does nothing, and the name next to it. help? Oh, i get it, why did it let me download it? Idon't know if this was a bug, but it felt like i had to hatch the egg three times before it hatched, (that's a bad explanation, sorry). But i clicked and the hatchcing animation came and then i had to do it again? Well, it's official. 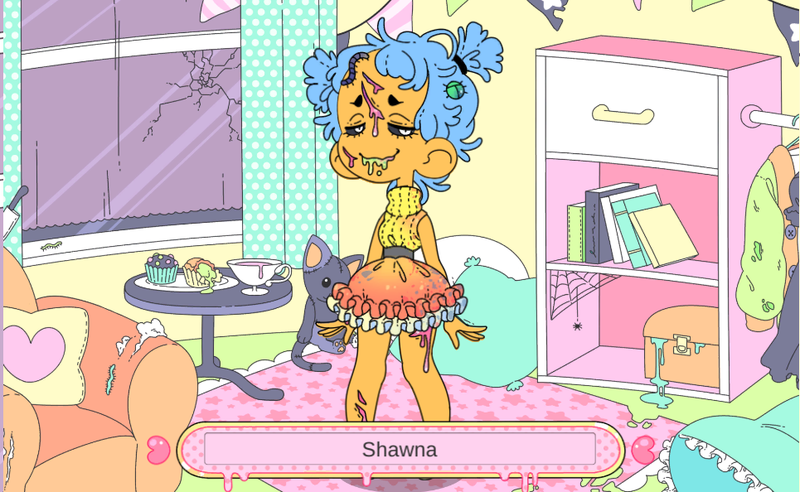 I've grown an entire army of ghoulish girls, and my army will soon take over the planet. Many thanks! This was super cute!! I love the artstyle and the clothing options for this lil' game. I'd love to see this more fleshed out, maybe with doing mini games to buy accessories or other things? I dunno but this was a sweet lil' time spender. I'm having the exact same problem. I'm also on chromebook, and its only worked for me once. I love the game, but I'd love it more if I could actually play it.